Pretty much everything you can imagine experiences wear and tear as the years go by, and your smile is no different! 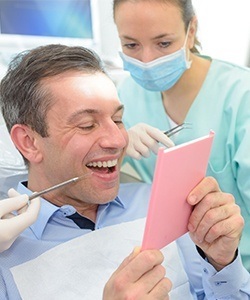 If you’re dealing with one or more decayed or injured teeth, the team at Powell Dental Group can help you enjoy a happy and whole smile again using restorative dentistry. Custom-made solutions using the latest materials can make any dental damage seemingly disappear behind pristine white enamel, ensuring you’re always able to smile with complete confidence. Don’t let your compromised teeth hold you back any longer—contact us today to schedule an appointment. 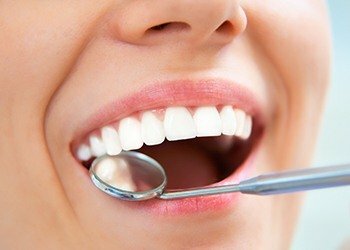 Why Choose Powell Dental Group for Restorative Dentistry? A minor cavity or small chip might seem easy to ignore, but in truth, little dental problems only tend to turn into bigger ones if left untreated. Decay spreads, and a weakened tooth will eventually crack and break, meaning it will likely need to be completely rebuilt or replaced. By taking care of any issues early, we can head off larger problems and help you avoid the need for more involved (and expensive!) procedures necessary to fix them. One of the most versatile treatments in all of dentistry, we can use crowns to repair large cavities, put broken teeth back together, and even beautify cosmetically imperfect teeth. They are designed to look, feel, and function just like natural teeth, and we personally design each one so that they fit seamlessly into every patient’s smile. From beginning to end, the process to get a custom-made crown only takes two easy appointments, after which it can be expected to last for multiple decades if proper, routine preventive care is maintained. Rather than fixing a small cavity with a dark gray amalgam filling, we can repair it with a composite resin that has been specially color-matched to a patient’s enamel. This helps the restoration become practically invisible within the mouth. 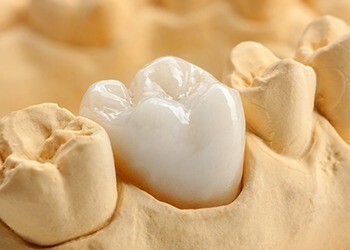 In the end, you get a tooth that looks great, feels better, and can be trusted to last. Air abrasion enables our team to easily remove excessive staining from the tooth surface while keeping a patient completely comfortable. 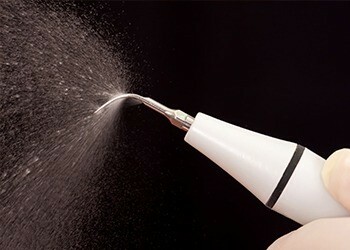 A small hand-piece exposes the enamel to a beam of microscopic silica particles that are propelled using compressed air. 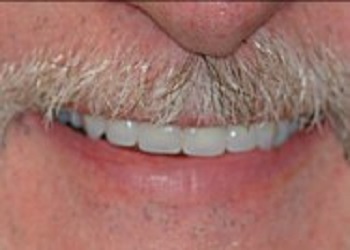 This literally buffs away any stubborn stains, and a patient will feel practically nothing during the entire procedure. In just a matter of minutes, the stain will be gone, and a patient will have a refreshed smile they’ll be eager to show off! 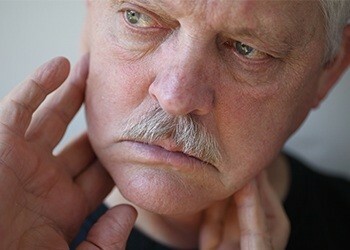 Are you dealing with numerous decayed, cracked, or missing teeth, and don’t know what to do about them? Many patients are in your exact same situation, and for them, we’re able to provide a full-mouth reconstruction. Using multiple procedures and a treatment plan designed just for you, we can fully restore the health, strength, and beauty of your teeth over the course of a few appointments. We can give your teeth new life, enabling you to eat, speak, and smile without worry ever again.